Newland FR4080 Koi, 2D CMOS Omnidirectional presentation scanner, black. The FR4080 Akame is designed as an excellent solution for presentation scanning. It features a motion tolerance of 2.5m/s, allowing for speedy and efficient scanning of both 1D and 2D barcodes. The Akame performs well with barcodes both printed on paper and displayed on an LCD screen and features IP50-sealed and drop-resistant (1.2m) housing. 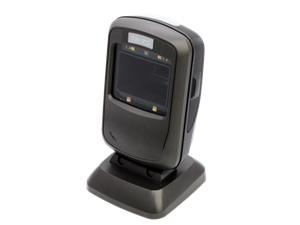 As a result, this barcode scanner delivers superior performance and outstanding durability at an affordable price.